On Sunday, November 26, 2005, the congregation entering Acadia Hall for coffee after service was greeted by a red fire engine. 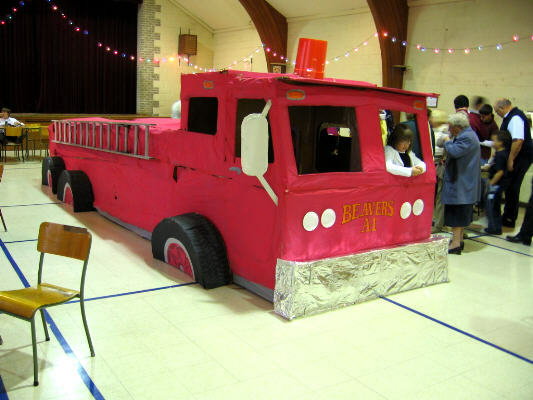 The vehicle was constructed (from old cardboard boxes) by the Beaver leaders on Friday night while the Beavers slept in St. Andrew's Hall on their annual sleepover. 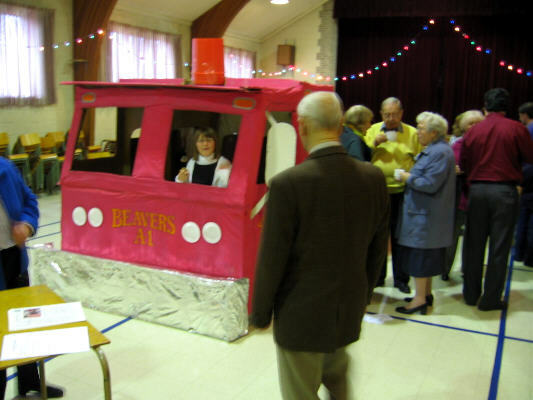 In the morning the Beavers first had breakfast, then were ushered into Acadia Hall to see the miraculously arrived fire engine. Unfortunately we did not get photos of the Beavers, but we did get a couple of shots of the result of the leaders' handiwork.